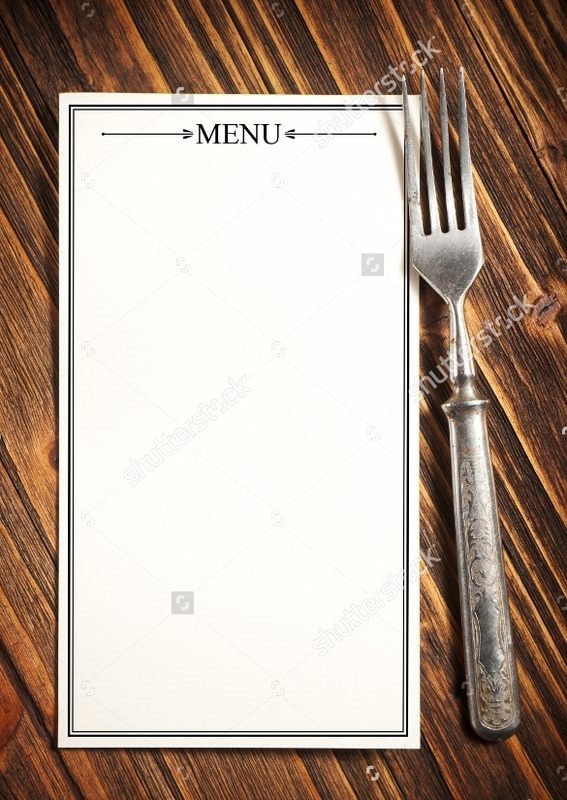 Blank menu template is used for restaurants and food businesses that want to have a stylish and creative ways to illustrate their food list into their customers. 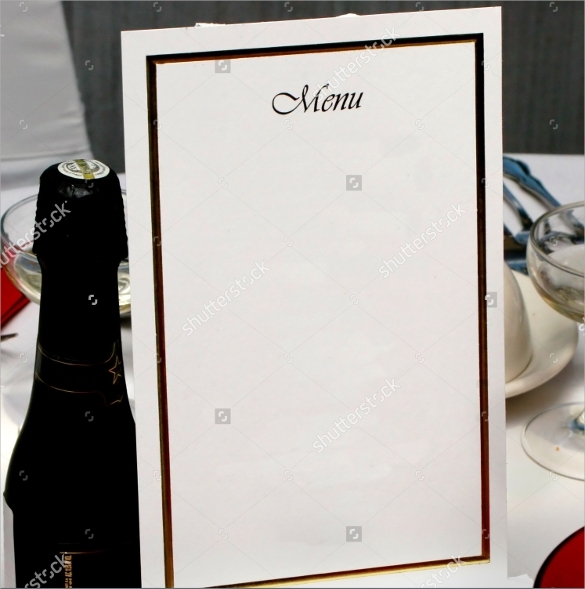 Each Menu Templates differs from each establishments and the food that they serve, this Menu Templates has space for image of the food so the customers will have an idea what is likely delicious and mouthwatering for them. 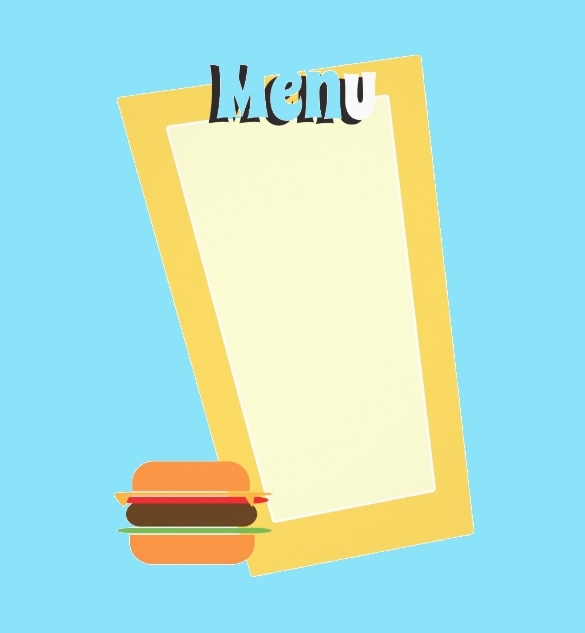 With the name of the food establishments highlighted in the template, it will make their customer reminded of the food they eat and will have the idea of what is the food served to them. 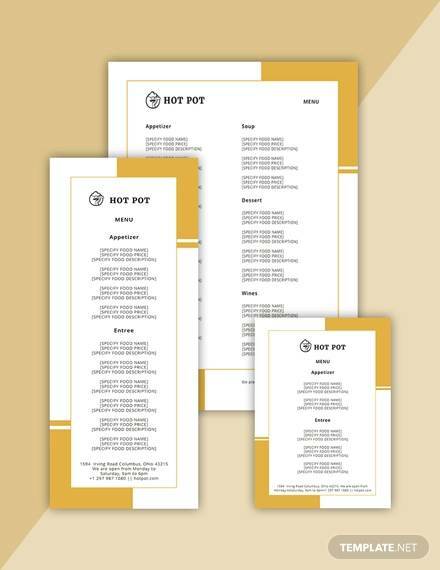 From appetizers to drinks, this Sample Menu Templates is designed for every food it can organize and looks appetizing to customers. 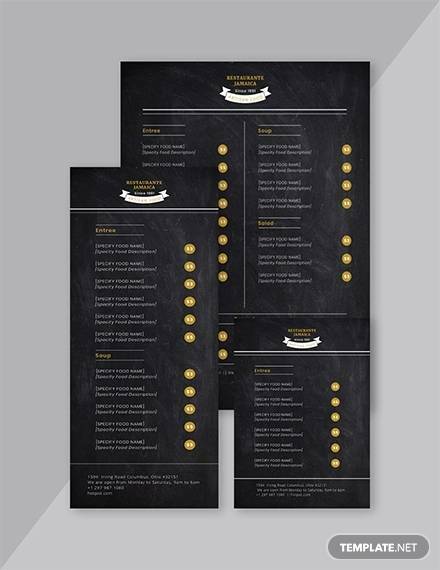 This is a cartoon style menu template that you can use, especially if your joint is informal. It shows 2 waitresses on either side and there is a space in the middle to write the food selections. If you are looking for classy, yet simple, then this is the perfect design. It has a wooden table as the background with a brown paper for the writing area and a fork and spoon on either side. For those who want something a bit more fun, then this is a good theme. 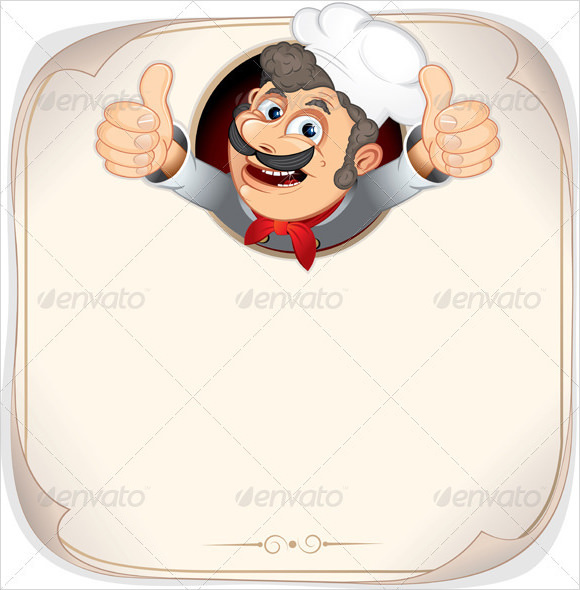 It has a cartoon chef in the bottom corner and a white space to write down the menu options. If you want something a bit more real, then this is a great option. 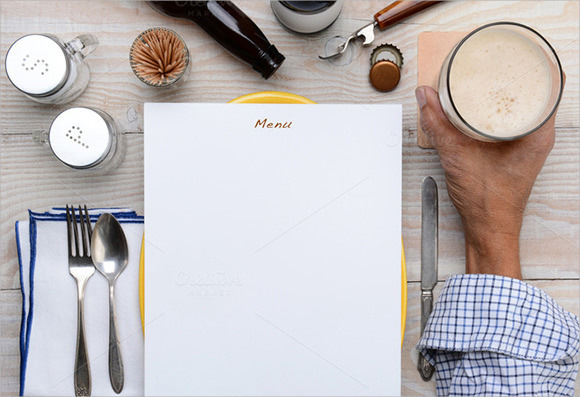 It shows a man with a drink in his hand, silverware and other utensils with a plate and a white paper for the food options. 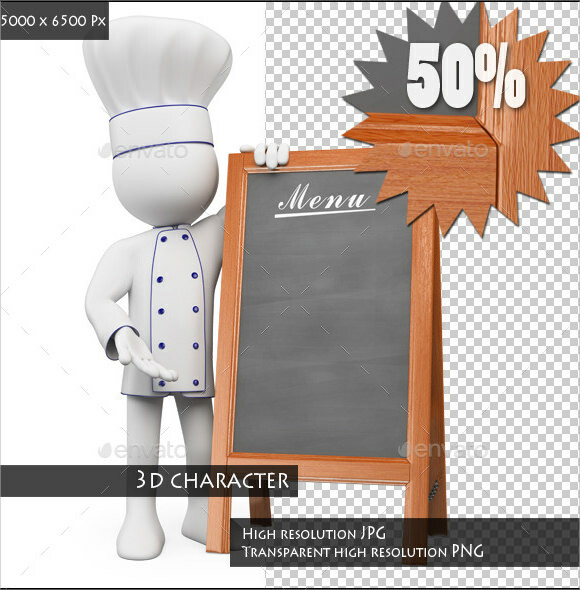 This is another great cartoon menu template that you can use. 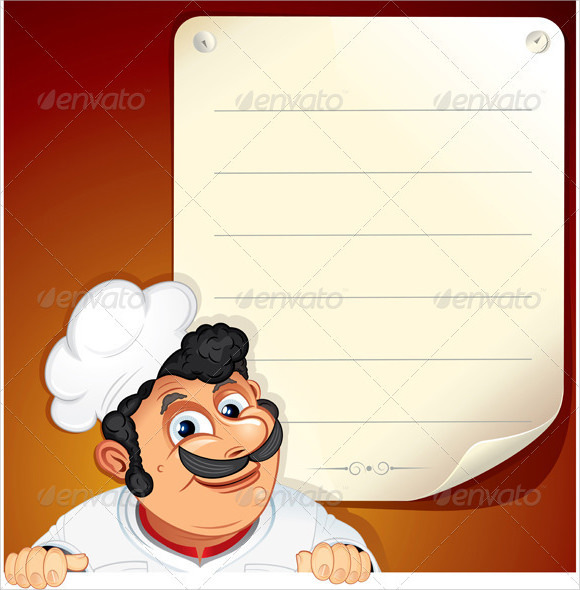 The chef looks like he is popping out of the top of the page and the rest of the space is empty and perfect for writing the menu. This is one that is simple, yet elegant and there is also a wooden table as the background with metal silverware on both sides. 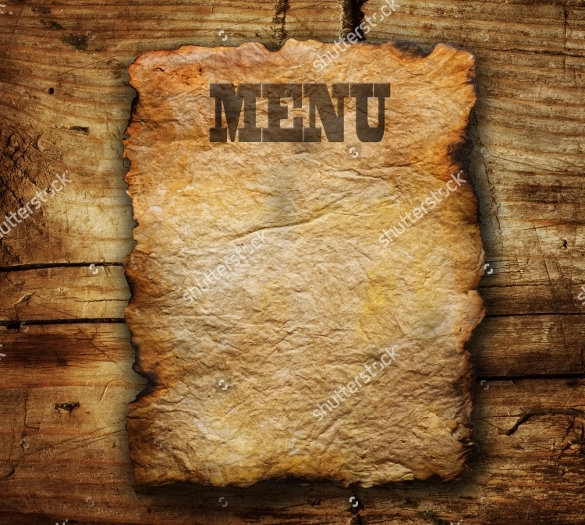 The menu can be written on the brown paper section. This is perfect for a unique style cafe or restaurant and it is extremely colorful. 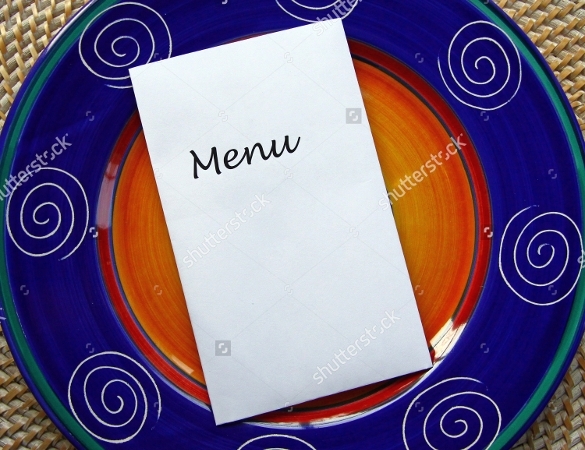 There is a plate in the background that is blue and orange with a white paper in the middle for the menu. 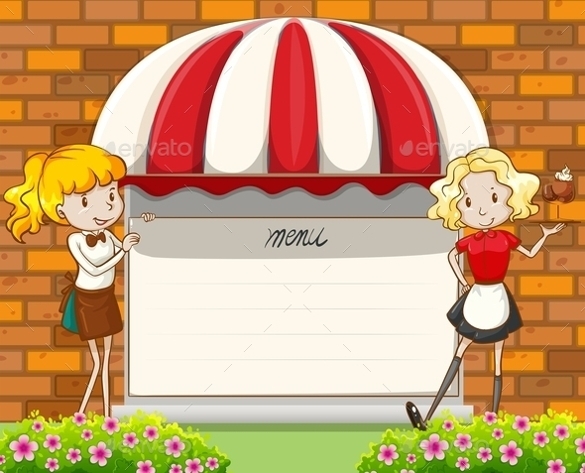 This option is perfect for a cafe where there are plenty of options and you can write down the list on the chalk board. It is surrounded by silverware and on a wooden table. This is an extremely simple, yet elegant option that you can use. It is a white paper with a dark red border that is ideal for weddings or other celebrations. 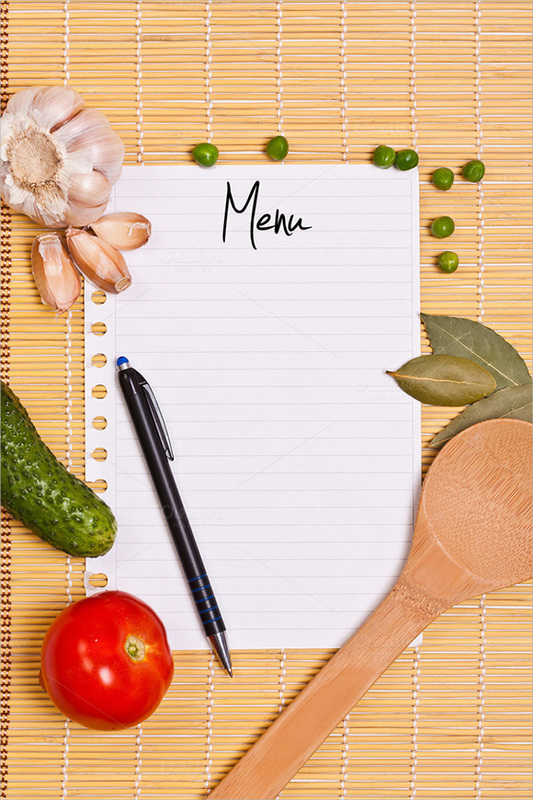 If you want to have a creative menu, then go ahead and use this menu template. 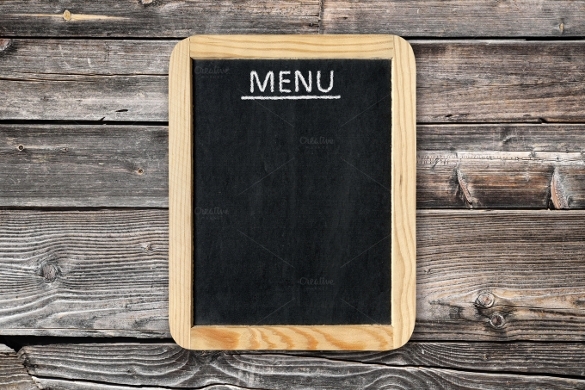 You can write the list of foods on the chalkboard, which is hung on a wooden wall. If you are hosting a birthday party, then this is the perfect design. 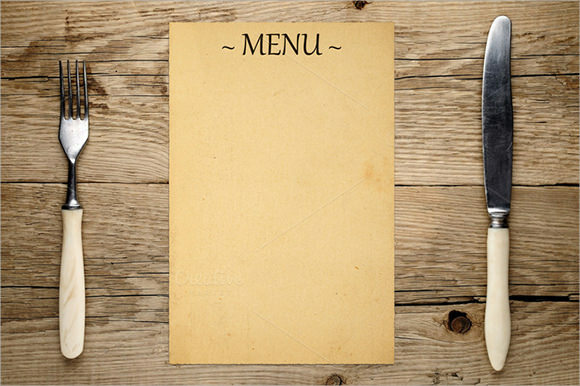 It is colorful with a yellow border and a good space for the menu options. 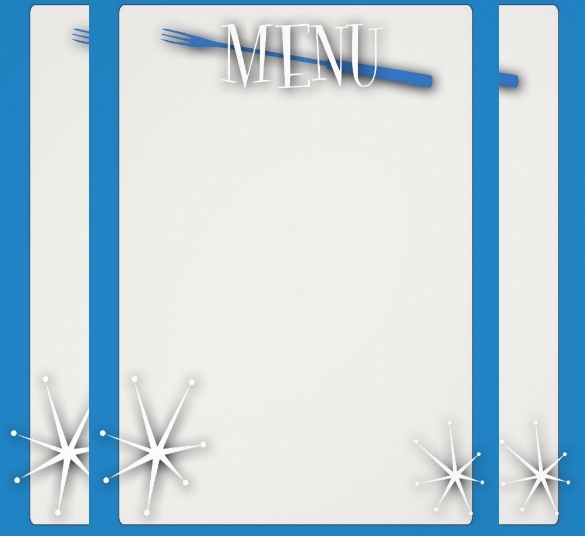 This is another elegant option that has a white menu card with a wooden background. 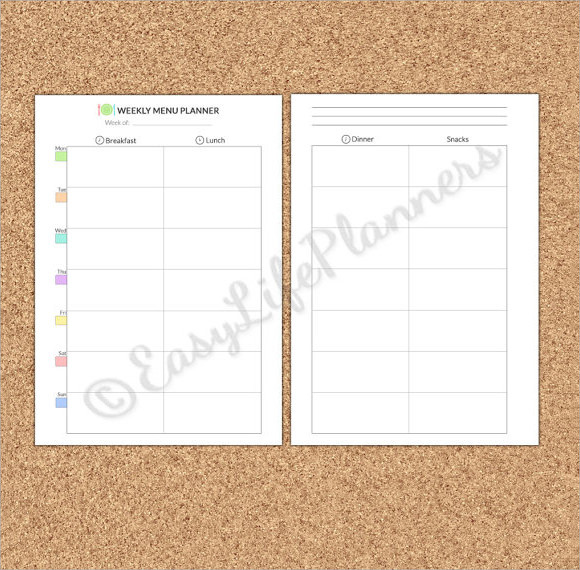 You can use this for any restaurant, including cafes and much more. If you love some color, then this blue design is great. It has some snowflakes in the bottom corners of the page, which is ideal for a winter themed party or restaurant. 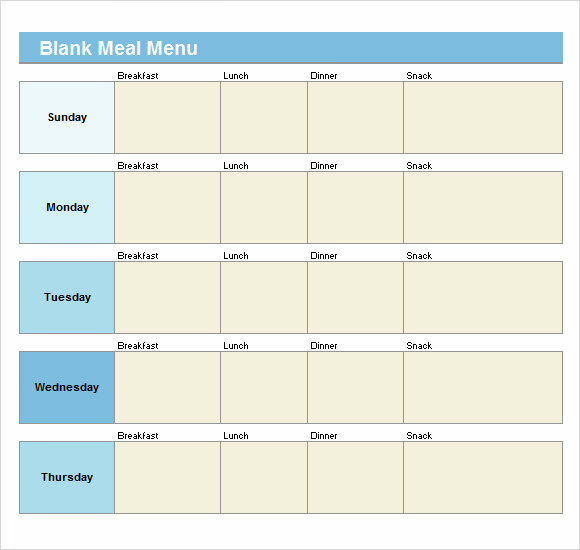 This is a great option for planning your menu for the week and you can print it out. Once that is done, then you can fill in the spaces. For those who love vintage, then this is a great option and it has the paper that looks old and burnt on the edges. It is ideal for any unique restaurant. 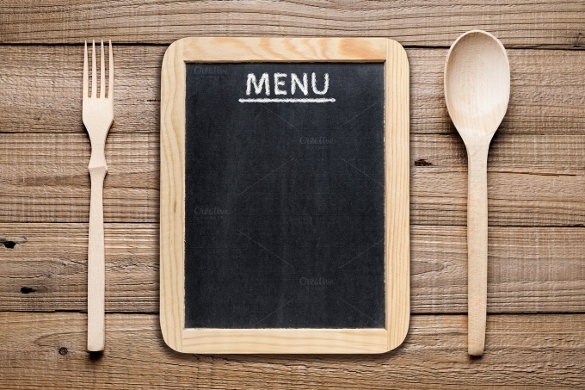 There are many different menu themes that you can use for your restaurant, which means that you can have fun picking and choosing the one that you want. 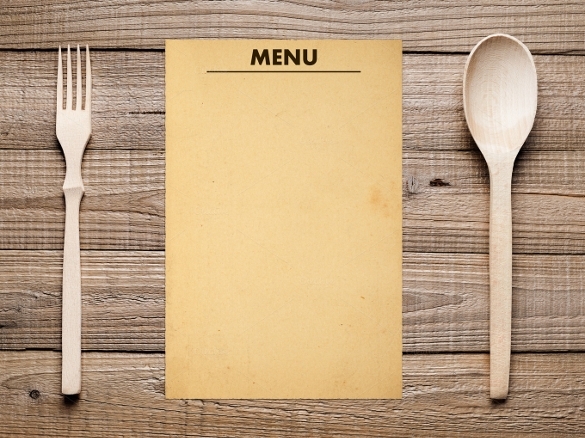 Go ahead and check these ones out to find the one that best suits your restaurant requirements.